The Alcatel-Lucent DMXtend is a data multiplexer extend designed to deliver high-capacity Ethernet, SAN and TDM services to your metro network edge. Give businesses, homes and other smaller access needs the right connection to your long-distance core network with proper equipment like a refurbished Alcatel-Lucent DMXtend from Worldwide Supply. The Alcatel-Lucent DMXtend is a smart enough platform to manage the network configurations you need in situations where you’re working with a wide range of new and old networking equipment to deliver a sizable number of services and applications to your different customers. Please note that these models were covered in Nokia’s acquisition of Alcatel-Lucent, so you may see some references elsewhere or in documentation to models such as the 1665 Data Multiplexer Extend (DM-Extend). The Alcatel-Lucent DMXtend is designed to support multiple network configurations and needs as well as a variety of applications that you deliver across your network. Starting minute-one, you can provide voice, Ethernet, IP, private line, frame relay, ATM and many more cost-effective solutions. Give your metro network the next-gen boost it needs with a fully operational used Alcatel-Lucent DMXtend from Worldwide Supply. Eliminate bottlenecks common in metro networks by supporting high-speed — and high-revenue — Gigabit services or advanced VPN support for your digital subscribers. 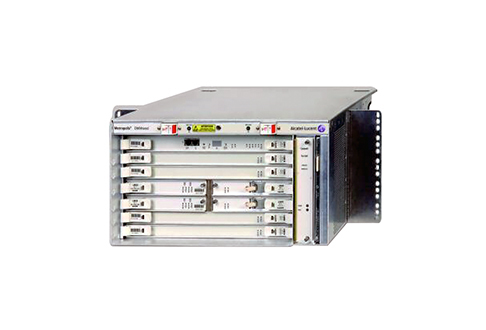 The Alcatel-Lucent DMXtend line includes a broad portfolio that can be customized and combined to meet your space, capacity, reliability and service delivery needs.